For more info about our services please click on the link bellow. 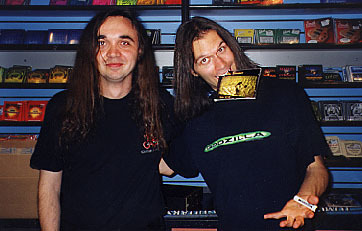 LATTER RAIN RECORDS - ADDRESS UPDATE"
NEW CONSERVATORY OF MUSIC HONORS SLAV SIMANIC AS "TEACHER OF THE YEAR FOR 2003"
SLAV SIMANIC ARTIST OF THE MONTH ON "PROJECT ETERNITY"
Slav's cover of "Speed Metal Symphony" was included to the Japanese version of "Warmth In The Wilderness I" tribute to Jason Becker (released in November 2001 on Lion Music/Marqee Avalon), and will be added to the upcoming "Warmth In The Wilderness II". We were informed that Steve Vai will be one of the featured guitarists on upcoming "Warmth In The Wilderness II". CLICK HERE TO FIND OUT HOW YOU CAN ORDER JAPANESE RELEASE OF "WATER OF LIFE"
(PAMCD 1012), Slav will also be a featured guitarist on upcoming tribute to Jeff Beck, Carlos Santana and Frank Zappa albums from "Progressive Arts Music". 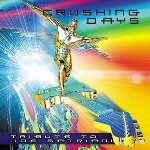 Slav Simanic has covered a song"Crushing Day"
from "Surfing With The Alien" CD. 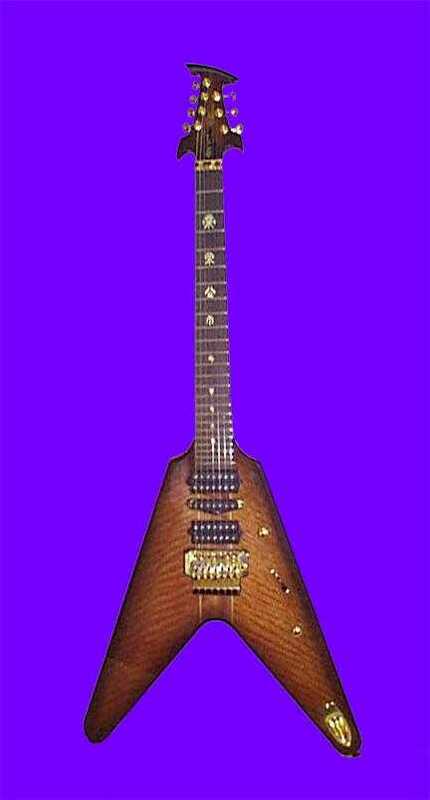 Jeffrey Yong one of the World's greatest luthiers has built for Slav Simanic a custom made 7 string guitar. The model is named SLAV-V7. 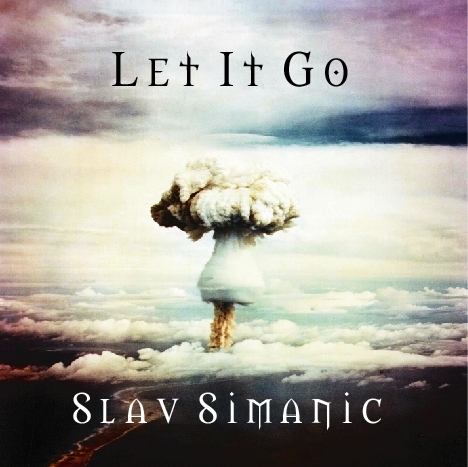 Slav Simanic- "Let It Go"
Instead of singing about dragons and vikings, Slav's bringing forth a far more exciting journey to you. There's never been a more action packed and thrilling story than that of Our Lord. Good on you Slav. You've done a very brave thing here and you've done a wonderful job of it. The words you've put together in the songs are so beautiful and meaning. You've captured the essence of what really matters... "
" The world never seems to fall short of guitar geniuses these days and it's not just the States, Sweden, or Canada that provide the talents either...I can only hope that after 'L.I.G. ', Slav Simanic's third album won't be another two whole years or so in waiting. The man must get a slot at the Gods fest: he is a neglected talent who deserves more notice than he gets. " " Let It Go takes in happy go lucky AOR anthems like the title track, to moody rockers like I'm Going Up Higher, through the harder edge European style heavy rock of You're Never Going To Die and back again to heartfelt rock ballads like People Say. In fact, the hook to People Say and Phil's vocal make it one of the better ballads of recent times. A real melodic gem. ...Outstanding value for fans of guitar players and guitar driven hard rock. " " ...it's all quality what we hear on Slav's 2nd CD. As a bonus you'll get his first CD as well, so better save up your money for this release. " Slav has it all,the power of the axe is his to take to the next level and do what Steve Vai and Joe Satriani did in the eighties, and that's to redefine the structure of guitar music as we know it. So there you have it an awesome and very effective album that is set to make Slav Simanic the guitar hero of the MILLENIUM.
" ...Water into Wine. Awesome. A word which sums up the album really. Find it, buy it, love it.
" 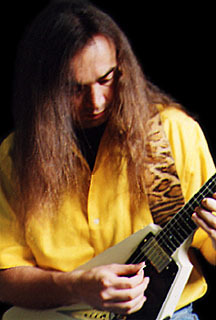 ...Slav Simanic is a fantastic guitarist, with chops to spare! Able to shred with the best of them, he also possesses a very keen sense of melody, which allows this album to be enjoyed by more than just guitarists! ...Another "must buy" for lovers of great guitar work contained in strong, memorable songs. " " ...The man can play, there is no doubt and he has great melodic composition chops as well. ...Be on the lookout for Slav because he could find himself quite the hero in the making. " " ...Slav Simanic is a talent to be reckoned with and a name to watch out for in the future. " " ...Slav Simanic is one of the most talented guitarists I've ever heard... "
" ...Simanic makes the six strings sing with heartfelt emotion. ...Song after song of beautiful instrumental harmony performed by a true master of the instrument. ...Water Of Life is as elegant as the sunrise of each new day; not always seen but greatly appreciated when noticed. " 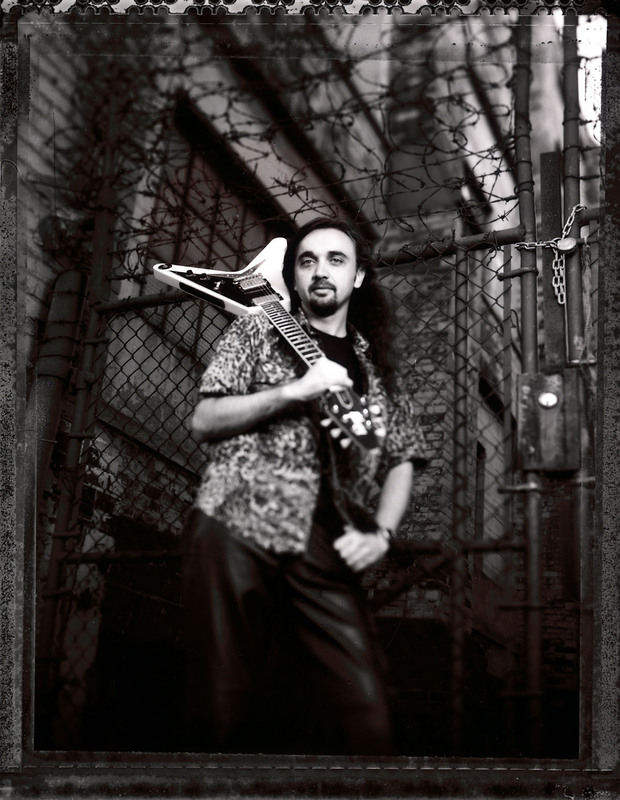 " ...Simanic is a fierce guitar player, and his debut recording proves that high-intensity shred can be delivered with taste, melody and a passion for musical quality. It's even tough to pick favorite tracks from Water Of Life, since each piece offers something new - in short, a great CD from start to finish. " " If you are a fan of instrumental rock guitar in the style of Steve Vai, Joe Satriani and the like, you really ought to check out this record. Don't think because you've never heard of this guy or because it's an independent release that it's substandard. Trust me, all the elements are in place to show that Simanic is certainly worthy of being mentioned alongside any of the stars of the instrument. "